For nearly as long as humanity has existed, so has social responsibility. In some cases, the two phrases can even mean the same thing. Corporate Social Responsibility is when companies get philanthropic and show some humanity. Although philanthropists have been around a while, the notion of social responsibility on a corporate scale emerged in the 19th century as a response to large rates of dead and dying factory workers. In this way, corporate social responsibility was originally just a way to keep productivity smooth – today, it’s much more. Today, social responsibility isn’t just necessary to keep employees alive; it’s necessary to keep your brand alive. So well-known as a modern business concept that it has its own initialism (CSR), corporate social responsibility is a process whereby companies can check themselves before they wreck everyone else. By building good social and environmental practices into their business plan, corporations can give back to the people and places and rely on them. Famously responsible companies include Microsoft and Starbucks, but smaller examples are out there: the department store Selfridge’s Project Ocean takes social responsibility off the company as a whole and onto their efforts toward one particular cause. In a world where businesses have more competition than ever, there are some strong criticisms about CSR. Here are three big ones and the more powerful, positive truths behind them. Some people believe that CSR just costs too much for the business involved. Stakeholders in large corporations fear that it’s impossible to balance financial concerns with social and environmental requirements. In short, they ask that a good CEO put profit before people. Moral implications aside, as a purely financial criticism this might not stand up. When you think of socially responsible companies, certain ones jump to mind – Google, Microsoft, Disney – and they’re the ones topping the Reputation Institute’s list. They’re transparent, savvy, and in the good books of the media, consumers, and stakeholders. But these companies don’t just have the love of the people, they also have their money: proving that actions speak louder than subway posters, 77% of consumers think that companies should be socially responsible – and they’re willing to pay 10% more for products they perceive as coming from such companies. So don’t worry – there’s money in being socially responsible. The main criticism from consumers is of “greenwashing” – the use of environmentally-friendly PR without any actual, socially responsible action taken. They fear being tricked. This is a legitimate fear. If a CEO will not put profits first and prioritises CSR before financial benefits to the stakeholders, they may not keep their job. “Greenwashing” is a way around this, whereby a corporation will talk about CSR constantly – or advertise to a socially responsible demographic – but never actually enact responsible change. A classic example of this is Chevron’s People Do campaign in the 1980s, which was a direct response to hostile, environmentally-aware critics. In the advertisement, they explain that their oil exploration and excavation activities will leave no impact on the environment and “nature can have spring all to herself”. All measures they actually took to alleviate their environmental impact were required by law, and within a few short years their new, “green” image had grown filmy and filthy with public scorn. They tried again in 2010 to even worse effect. Thankfully, this would suggest that inauthentic CSR attempts tend to be ineffective. In the information age no company can hide forever, and businesses have even sprung up just for separating the fake from the real! Greenwashing remains short-term and, ultimately, detrimental to profits. 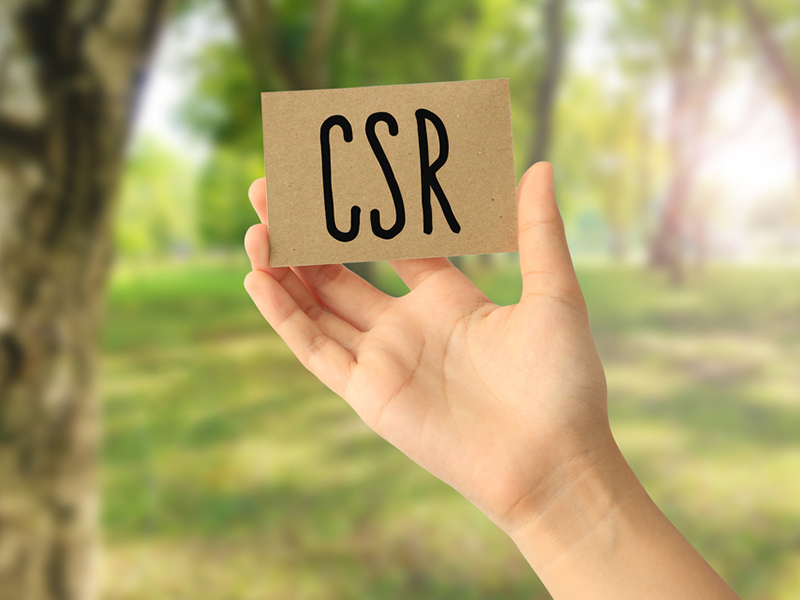 There is a common perception that the costs of CSR will be the downfall of small businesses, which don’t have the budget of large corporations required to be socially responsible. People with this criticism argue that small businesses can’t afford the equipment, training, and social media to pull off being socially responsible. Enter Ben & Jerry’s. Proving that small businesses can be game-changers, Ben Cohen and Jerry Greenfield founded their now-famous ice-cream company on socially responsible principles. No CEO would earn more than five times what its lowest-paid employee received; and these employees were often homeless or out-of-work. They have a history of activism – climate change and child poverty are topics the company hasn’t shied away from – and their new, Unilever-appointed CEO Jostein Solheim insists his mantra is “change is a wonderful thing”. Not only can small businesses afford it – it costs less to change less – but they can be built on it. Put people first and profits will follow. CSR – A good idea? More than ever, branding is the key to a company’s success and longevity. Authentic, socially and environmentally responsible brands are the choice now and will be going forward; as demand for things like climate change alleviation and refugee aid rises, so will the reputations of companies throwing their hats in those rings. Research has shown that not only are 56% of people more loyal to socially responsible brands, but that number is climbing fast. The short-term costs might be off-putting to short-sighted, single-minded capitalists, but in the long term corporations that practice social responsibility will earn enduring reputations and customer bases. These are crucial in financially tumultuous times. You might want to invest in CSR now – but how can you tell who’s greenwashing and who’s the real deal? Why not ask us?